An accountant is a person that loves numbers and to play with money. An accountant is your best friend and your go-to person for the majority of your financial needs. Everyone needs an accountant to help them look at their finances, understand their finances and to help them use this knowledge to make smart business choices and investments. An accountant wears many different hats in determining the best way to help you control your finances. An accountant takes a critical look at your finances and offers you financial consultant and guidance as to how you can use your money to your advantage. An accountant analyses all of your accounting information and prepares reports so that you can better understand your profits, losses, assets and liabilities. Once an accountant has a through understanding of your financial standing, he/she can then help you make the proper investments, pay your taxes and answer an number of your financial needs. Accountants also help people with theie spending and budgeting. 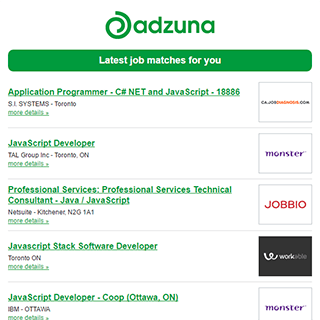 The Adzuna recency index score for this search is 1.40, suggesting that demand for vacancies for Accountant roles in Canada is increasing. 728 new job listings for this search have been found in the last calendar day, compared with 1,417 in the last 72 hours and 2,358 in the last week. Companies presently offering vacancies for Accountant roles in Canada include Canadian Armed Forces, Edward Jones, BDO..
Get the latest Accountant Jobs in Canada delivered straight to your inbox!